If you follow me on Instagram, you guys know I love Cosrx. My love for them started out slowly when I simply tried one product and was so impressed, I started testing new items as I ran out of what was in my current stash. Not all their products are golden for me, but a majority of them are - so I get really excited when I see new products emerge from their brand. This cream was available for preorder from Jolse on March 4th, shipped out via EMS (for free as a special promo with the preorder) on the 7th, and I received it on the 11th. I've been using this cream daily for two weeks and feel like I'm ready to give my initial thoughts on it. 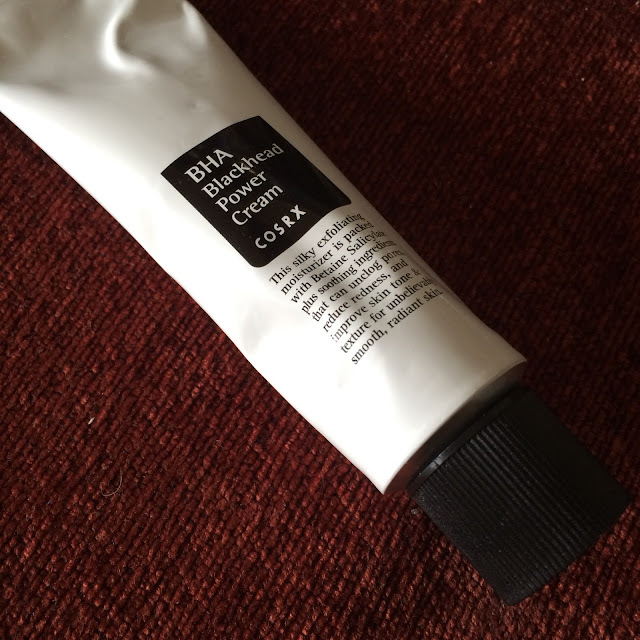 The Cosrx BHA Blackhead Power Cream is designed to promote smooth skin - comparing it to that of a baby. It also claims it can unclog pores, reduce redness, and improve skin tone and texture. This cream contains 4% betaine salicylate - which is a more gentle form of BHA than the more commonly used salicylic acid. 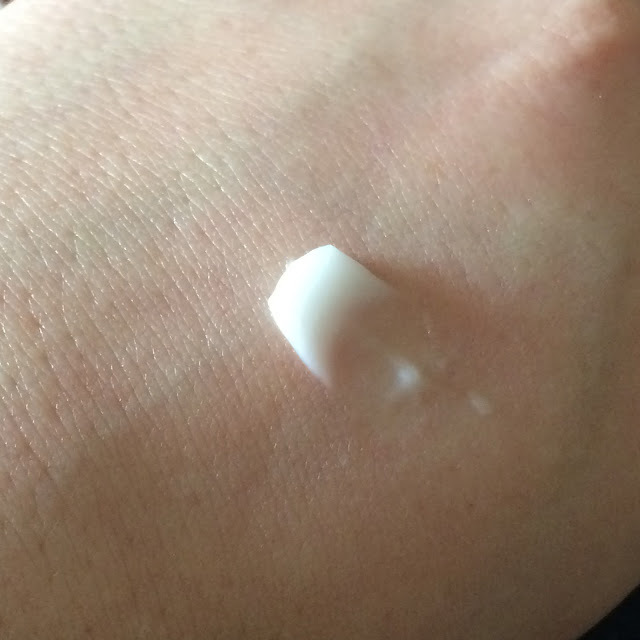 The interesting thing about this moisturizer is that it not only contains BHA, and supposedly has a pH of 4-5, but it is also contains many hydrating and healing ingredients - and that's what is so unique about this cream compared to others. 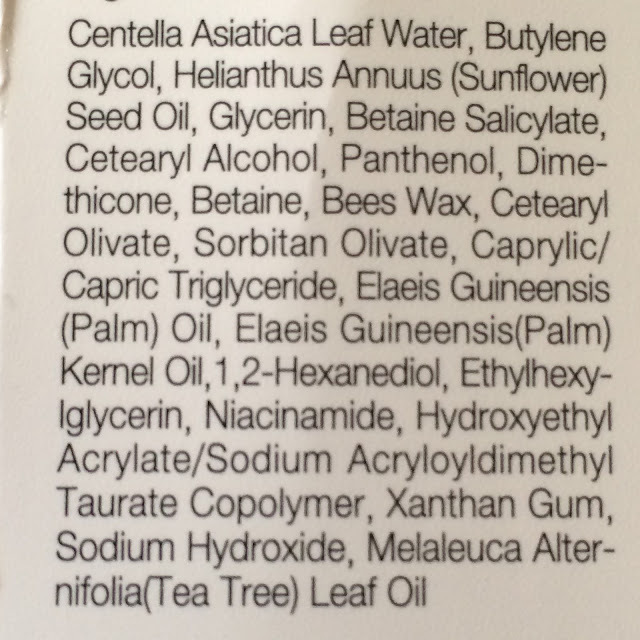 Do not use this cream if you are sensitive to cetearyl alcohol, dimethicone, beeswax, betaine salicylate, niacinamide, aspirin, or any of it's other ingredients. 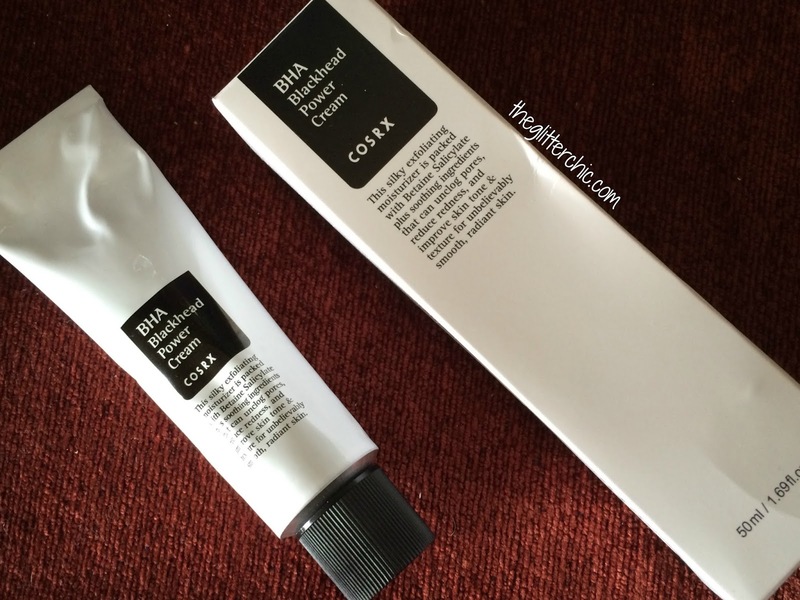 The BHA Blackhead Power Cream comes packaged in an aluminum tube with a plastic screw-on cap. 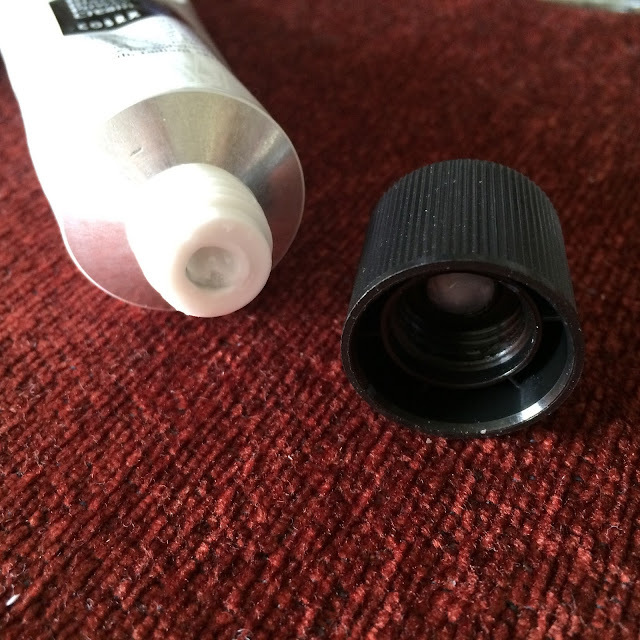 The cap has a "poker" on the outside that you'd traditionally use to piece a foil seal on aluminum tubes like this, but because of the plastic threading and opening, the tube actually does not have a seal and the "poker" is just an... interesting part of the design. The cream itself it white in color and has a mild scent - it smells of tea tree ever so slightly, with a hint of centella. The scent lingers for a short time on the skin but disappears within a minute or so. This has a thicker consistency, but it's very creamy. It spreads easily onto the skin, and absorbs easily, but seems to leave a light film on the skin, which helps with hydration, but can end up being greasy for oily-skin types like myself. 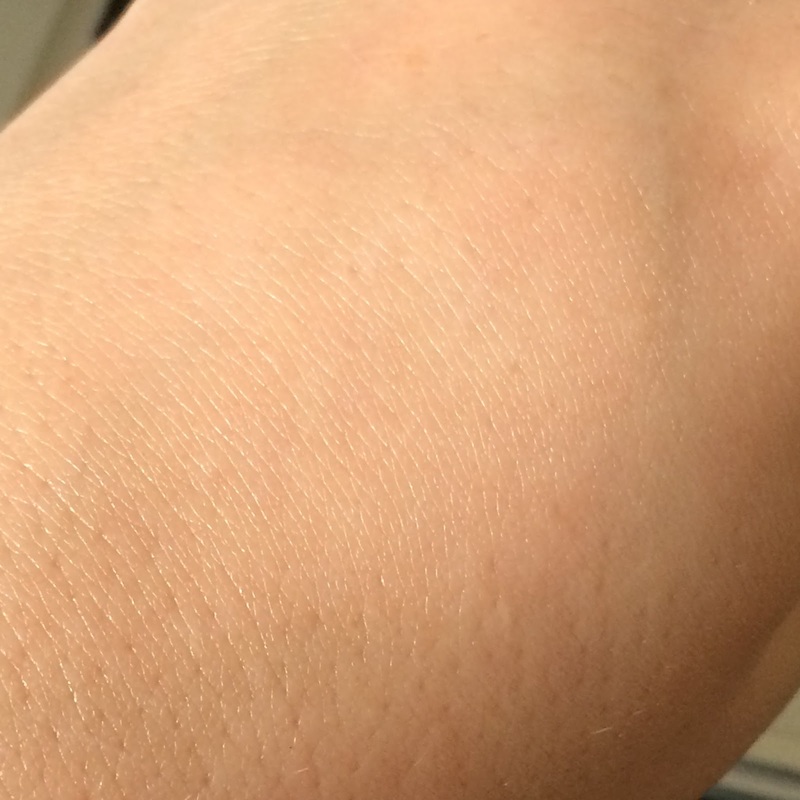 After absorption - can you see the slight sheen on my hand? Cosrx actually warns that because of the slightly acidic pH (which I couldn't verify because neither of my pH strips could absorb this cream) it may tingle slightly. When applied to my hand for photos I felt no tinlging sensation, but sometimes I do feel this sensation on my face - especially when I use it in a shorter routine with an aha. This makes me wonder if a lower pH on your face does influence how well this cream works, but I've actually noticed no difference the following morning one way or another in terms of texture or reduction in acne or blackheads. I think the biggest question I've been asked about this cream while testing it out is "Where do you use it in your routine?" and after playing around I can safely say the best place for this cream is at the end of your routine. The directions indicate you should use this after toner, then apply spf - but that leaves a lot of open steps in between. When used after a toner, the rest of the products in my routine had trouble absorbing and my skin ended up very greasy - this is much better suited as a moisturizer at the end of your routine. I had a small amount of luck applying my Innisfree Eco Safety No Sebum Sunblock over this during the day without any pilling but a small amount of greasiness, but when using the EltaMD UV Clear Sunscreen it couldn't "set" on my skin and just smeared away after an hour or waiting. So this is very tricky under sunscreen, as it seems too occlusive to allow anything to really settle on top of it. Personally I would recommend this for all skin types for night-time that are looking for an improved skin texture and/or tone. I feel like dry skin types, or anyone who feels the BHA liquid is too harsh or drying, will really appreciate how moisturizing this cream is. I honestly don't like the idea of this during the day, unless you can find a good sunscreen to play nice with this. I purchased product from Jolse, but you can also find is on Memebox USA*. 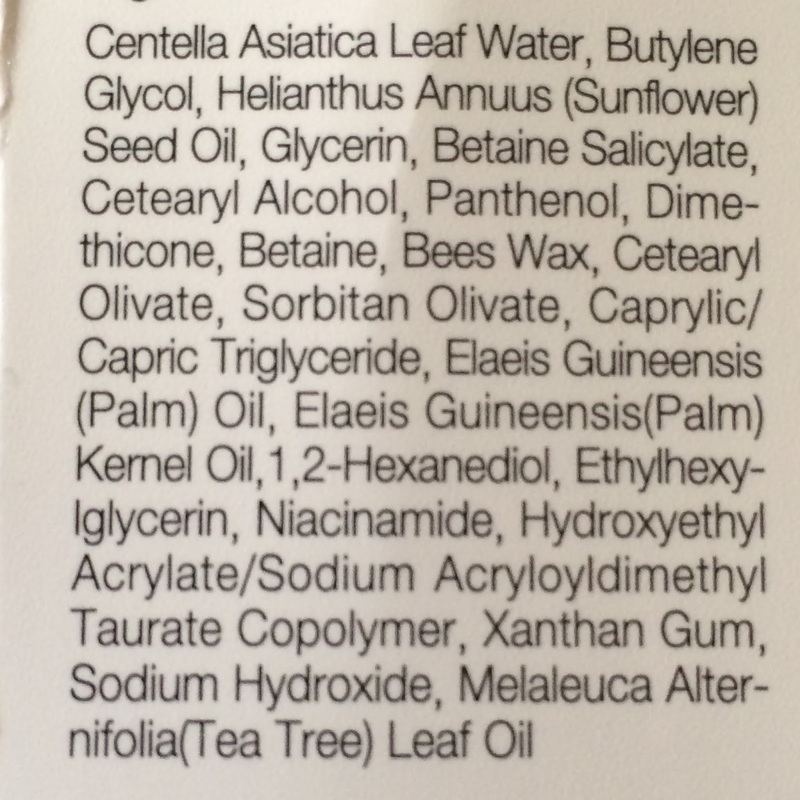 TL;DR: This is a very hydrating cream that contains BHA. The combo of BHA and moisturizing ingredients gives your skin a soft and smooth texture. 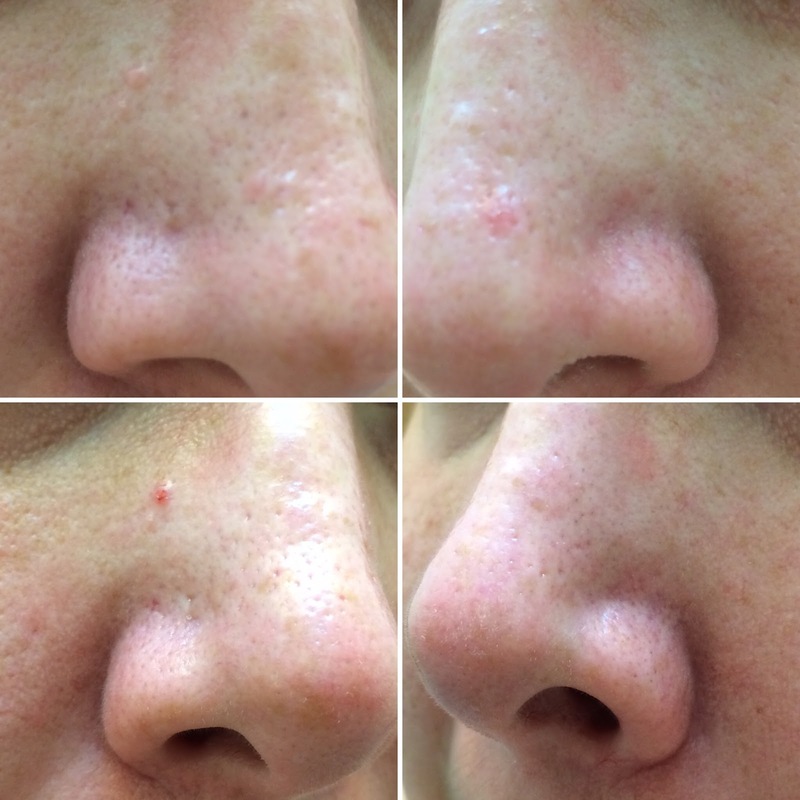 I do not personally feel it is effective enough to remove or reduce blackheads, but it does seem to make larger clogs and blackheads come out easier during oil cleansing. I would recommend this for anyone who cannot use the BHA liquid because it is too harsh, or would like a moisturizing night cream that can smooth their skins' texture.